The Hotel Leonardo da Vinci, situated facing the Milan Polytechnic and at few minutes to the Public University, is a very good solution for students looking for an accommodation near their seat of learning. But this is not the only reason to choose our Hotel. The Hotel faces the Polytechnic, it´s also in the vicinity of the National Cancer Institute (via Venezian) and of the Istituto Nazionale Neurologico Carlo Besta (Via Celoria). We have to remember that a few steps there is the specialistic Santa Rita Hospital (via Catalani) and thanks to the underground, MM2 - green line, it´s also easily reachable the San Raffaele Hospital. 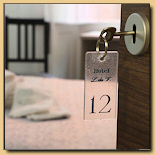 Our property, managed directly by the owner, welcomes its guests with kindness in order to meet their requirements. 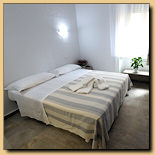 The Hotel has single, double and twin rooms, with or without private shower and toilet. All rooms have classic furniture, very practical. After a stressed business day, you can reach by foot restaurants with typical cuisine, pizzeria or pubs to spend a nice evening. The Hotel is well-connected with the underground and with the on-road transportation system, it´s also easily reachable by the motorway-Tangenziale and by the Linate Airport.